Menna’s Joint is the “Home of the Dub,” the obscenely delicious & wildly addictive grilled wrap sandwich. Since our humble beginnings on the Michigan State campus in 2003, Menna’s Joint has been a brand steeped in youthful irreverence. Our ‘JOINTS’ are run by students and those young at heart – all of which have the same mission: servin’ up DUBlicious eats and having good times. 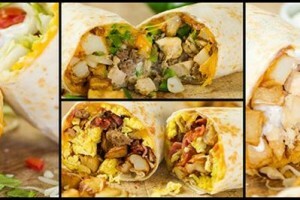 The “DUB” has been described by some as a massive and freshly grilled American burrito, but nothing compares to a savory Menna’s Joint DUB, chock full of meat, vegetables, cheese, potatoes (sometimes) and a variety of sauces all wrapped up in a thin, freshly grilled tortilla. Rice and beans? Not in this Joint! Cold bread and mostly lettuce? Fuhgeddaboudit! Merely toasted? You must be kidding! You’ll find only fresh ingredients and fast grillin’ at Menna’s Joint. Whether you’re stopping in for a quick bite or craving damn fast delivery nearly all day and night, nothing satisfies like a Menna’s Joint DUB, Loaded Fries and other Menna’s Munchies. As we constantly explore bringing Menna’s Joint and the DUB to a town near you, our mission always remain the same – servin’ up DUBlicious eats and having good times.